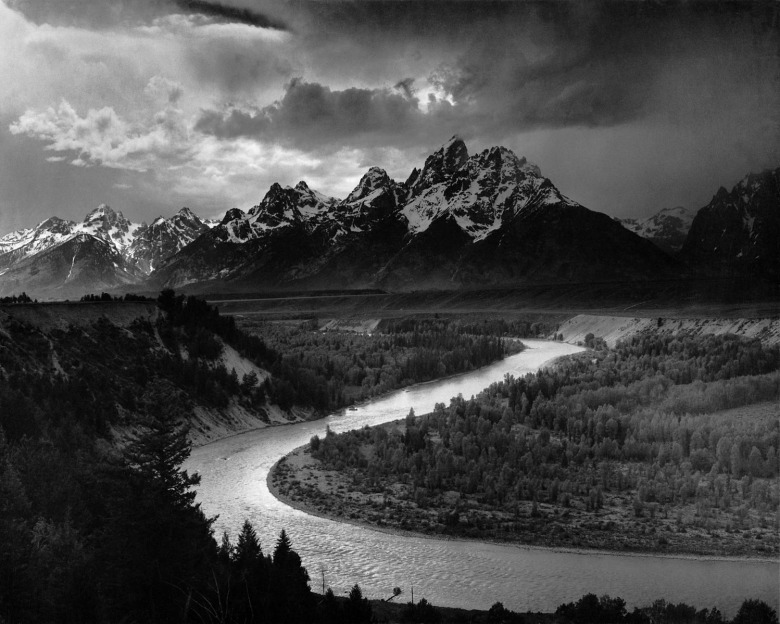 At 50, Has The Inspiring Spirit Of the Wild And Scenic Rivers Act Been Forgotten? During the course of my career with the U.S. Forest Service in the Greater Yellowstone Ecosystem, I observed how wild waterways, including tiny backcountry streams, affected the character of wild landscapes. The streams along with their adjacent wetlands and riparian areas are, from a wildlife perspective, lifelines. Aquatic life depends on them for obvious reasons, but terrestrial species, from mink to osprey to grizzly bears, depend on them too. Rivers and streams represent the region’s richest habitats and they possess their highest ecological value when undisturbed. Their headwaters are the wellsprings and delivery systems for clean water that reaches our taps. Earth has been called the water planet for a reason. While Mars and the moons of Saturn show past of present evidence of water, it’s either underground, or under ice. So water, from snow-fed trickles in the high mountains of Yellowstone to the vast enclosing oceans, is worth our gratitude and reverent stewardship. Ponder this: 2018 has seen the 50th anniversary of the Wild and Scenic Rivers Act and it is yet another sterling example of America’s conservation vision and leadership. In some quarters it’s has been cause for celebration while in others little notice has been paid to an act of Congress largely overshadowed by current attempts to roll back regulations pertaining to the Wilderness, Endangered Species, Clean Water and Clean Air acts. I’m sad to report that, as we commemorate a half-century of wild and scenic rivers, the 2015 Clean Water Rule already has been revoked. Even though you may never have heard of it, it has implications for the life of every American. Ironically, some of the major supporters of that revocation are lawmakers who represent the states encompassing Greater Yellowstone, a region that is globally renowned for holding the headwaters to three major river systems—the Yellowstone-Missouri-Mississippi; the Green-Colorado; and the Snake-Columbia. I don’t find much to argue with here—isn’t it obvious? Isn’t it abundantly clear that our leaders would protect the most important pieces of our life-support system, that is more valuable than gold and yet plays such an important role in advancing ecological, economic and human health? Maybe it was the reference to peer-reviewed science that scared off current regulators with the Trump Administration who moved to weaken key protection provisions. Or that the Army Corps of Engineers jointly prepared the rule with the dreaded Environmental Protection Agency. The Yellowstone River, the longest undammed river in America, begins its journey south of Yellowstone National Park and ends by marrying the Missouri River near the intersection of North Dakota and Montana. Here, the river runs through Hayden Valley in Yellowstone National Park. Many believe it is an ideal candidate to be declared a Wild or Scenic river. Photo courtesy National Park Service. The language comes from a bygone era of generosity in this county—generosity toward citizens, their environment, and those yet to come. It includes protecting the places where other species live. The Wilderness Act is similarly eloquent. When you consider the number of far-reaching environmental laws passed into law between 1964 and 1976 you might be tempted to think of it as a golden age that made America not only great but an international leader. We were seeing our home planet from space in photographs, and appreciating its beauty and vulnerability. But each piece of legislation from that time, along with the creation of the EPA, was prompted by an environmental crisis: rivers so full of pollutants you couldn’t fish or swim in them prompted passage of the Clean Water Act. The Cuyahoga River was the poster child of the clean-water movement as photos of its surface ablaze shocked the country. Huge clearcuts and road scars and the liquidation of public forests for their trees, led to the National Forest Management Act. Like those laws, Wild and Scenic Rivers came to be during a period of dire concern, this one regarding the major dam-building spree that began in the 1930s and marched through the 50s. Much-loved rafting rivers were turned into reservoirs. Plans for more large-scale clean hydropower dams on free-flowing rivers had many people worried that soon there would soon be none left. Now, 50 years later, the spirit and intent of EPA still exists (sort of), the Cuyahoga is honored by a national park, and industrial-scale clearcutting in the national forests is largely behind us in the Lower 48. The era of big-dam building has given way to a time of smaller dams, dredging of older reservoirs to extend their useful lives, and even taking some dams out for the benefit of habitat and the anadromous fish that depend on them. Natural gas, wind, and solar are on the increase. And while dams still serve a role, especially in the arid West where temperatures are also on the increase, these are mostly meant for irrigation. In 1988, in recognition of the 20thanniversary of the Wild and Scenic Rivers Act, the chief of the Forest Service pledged to expand the number of protected rivers within the national forest system by 20 percent. One of my projects while working for the Bridger-Teton National Forest in Wyoming—the largest forest in Greater Yellowstone— was to help the agency find worthy inclusions in this 20 percent by conducting an inventory of eligible rivers and documenting their outstanding qualities. While the Yellowstone River hasn’t been designated, it’s certainly eligible. When the Bridger-Teton completed its inventory of rivers it found that the Yellowstone headwaters and two tributaries were potential Wild Rivers adding up to 73 miles. It doesn’t take an inventory to surmise that all that flows through Yellowstone National Park that bears its name is worthy of wild and scenic river status. It turned out to be more of a challenge than I expected: the forest includes hundreds of streams in its 3.4 million acres. I worked hard to record them properly, using pre-defined criteria for outstanding qualities so I could give rational answers to questions about why certain reaches were added to my growing list of candidates. This was not to be a matter of my professional judgement. Elected officials, assorted skeptics, and especially forest management, including some district rangers who felt perfectly comfortable using their own judgement to declare that no rivers under their care should be considered, wanted facts. And they wanted answers to such questions as What is the point? Why spend time and money on an inventory when half the streams you’re looking at are in wilderness? If I mentioned that rivers could be recognized for their own values, people worried that such recognition would increase use. I was worried about that too, for designating wild areas under the Wilderness Act had certainly put them on the map. [Below in video: U.S. Rep. Greg Gianforte of Montana talks about the value of protecting East Rosebud Creek inside the Custer-Gallatin National Forest under the Wild and Scenic River Act. Gianforte advanced a bill backed by conservationists and supported in parallel by U.S. Sens. Jon Tester and Steve Daines. On Aug. 2, 2018, President Trump signed legislation protecting East Rosebud Creek, the first waterway protected in Montana under the Wild and Scenic River Act since 1976. 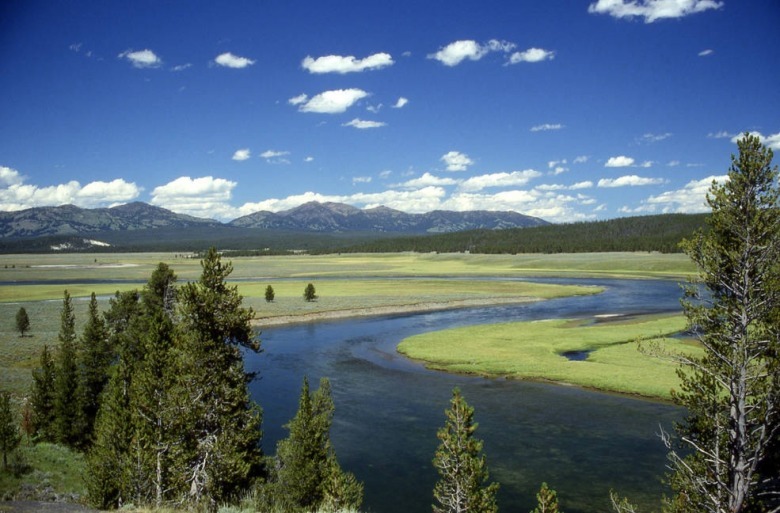 Other rivers in Greater Yellowstone remain candidates. I might not have been so concerned. Most other river managers I talked to, including the national WSR coordinator, said that popular floating and fishing rivers were already swamped with people, and designation itself had caused little more than a temporary uptick. And if I could look into the crystal ball of time, I’d see that in 2018 it’s not easy to find a mention of wild and scenic rivers on the web sites of the national parks and forests that contain them. It’s not as if anyone is trying to keep the rivers secret. The Scenic Snake River south of Jackson, Wyoming sees about 200,000 visitors a year, most of them packed into a 2 ½-month rafting season. This level of use would occur without any special designation, as it has been known for decades as an excellent fishery and whitewater float. The Snake’s seven-mile tributary Wolf Creek, a Wild River, flows below the radar. Lacking a sport fishery and being too small to float a boat, Wolf Creek offers outstanding recreation of a different kind—wildness and solitude in a deep, steep canyon the begins within a quarter-mile of the hubbub on the main branch and reached deep into the Palisades Wilderness Study Area. Wolf Creek spills in falls and cascades as the trail beside it climbs from the valley floor to subalpine wildflower parks surrounded by crags and peaks close to 10,000 feet high. It’s used primarily by the same few intrepid hikers and hunters who’ve gotten their meat there for years. Wolf Creek and the Snake are two examples of the diversity of experience that Greater Yellowstone rivers provide. At the time this report was written a 20-mile stretch of the Clark’s Fork of the Yellowstone was the only designated wild river in Greater Yellowstone. With the 2009 Craig Thomas Snake Headwaters Act the total mileage of designated rivers in Wyoming went from 20 to 408. A great increase, but it’s worth noting that this mileage represents less than 4/10ths of 1 percent (.004) of the Wyoming’s 108,767 river miles. With the 2009 Craig Thomas Snake Headwaters Act the total mileage of designated rivers in Wyoming went from 20 to 408. A great increase, but it’s worth noting that this mileage represents less than 4/10ths of 1 percent of the Wyoming’s 108,767 river miles. Montana and Idaho include 388 and 891 miles of designated rivers respectively, but only 20 miles of that number (East Rosebud Creek, recently designated in August of this year) are within Greater Yellowstone. Even the Yellowstone River itself, the longest free-flowing river in the country, isn’t part of the system. While the Yellowstone hasn’t been designated, it’s certainly eligible. When the Bridger-Teton completed its inventory of rivers it found that the Yellowstone headwaters and two tributaries were potential Wild Rivers adding up to 73 miles. It doesn’t take an inventory to surmise that all that flows through the national park that bears its name is worthy of wild and scenic river status. In 2017 the Custer-Gallatin Forest determined that a few disconnected segments from the town of Gardiner north to the forest boundary were eligible, totaling about 10 miles. Where is the bold and visionary thinking today, among both government stewards and conservation organizations that should be pressing the agencies? Those who doubted the value of the inventory and eventual designation of these rivers were partly right, for keeping the status quo has been both the goal and the result. The Wild and Scenic Rivers Act directs us to protect or enhance, and our rivers in Greater Yellowstone are still in good condition, their values high, and few are threatened by planned development. One reason for this is their location. The Clark’s Fork runs through a deep and nearly inaccessible canyon and most of East Rosebud Creek is included in the Absaroka-Beartooth Wilderness. Snake Headwaters streams flow between Yellowstone and Grand Teton National Parks and the Bridger-Teton National Forest, where over half the mileage is in Wilderness or wilderness study areas. Not every river in the system is so well protected, including wilderness study areas that some lawmakers in Wyoming, Montana and Idaho have been eager to release. Stretches classified as Scenic and Recreational, flow alongside roadways, accessible to many. The roads, boat launches and trails are essential to people’s enjoyment, but these facilities have their impacts—especially when added to or replaced. State and federal highways include wide rights-of-way overlain onto the rivers’ designated corridors. 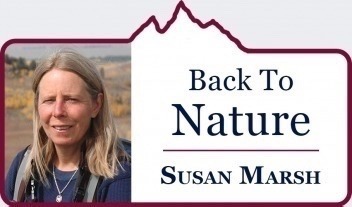 Besides being a talented writer and retired Forest Service ranger/naturalist, MoJo columnist Susan Marsh is a painter. 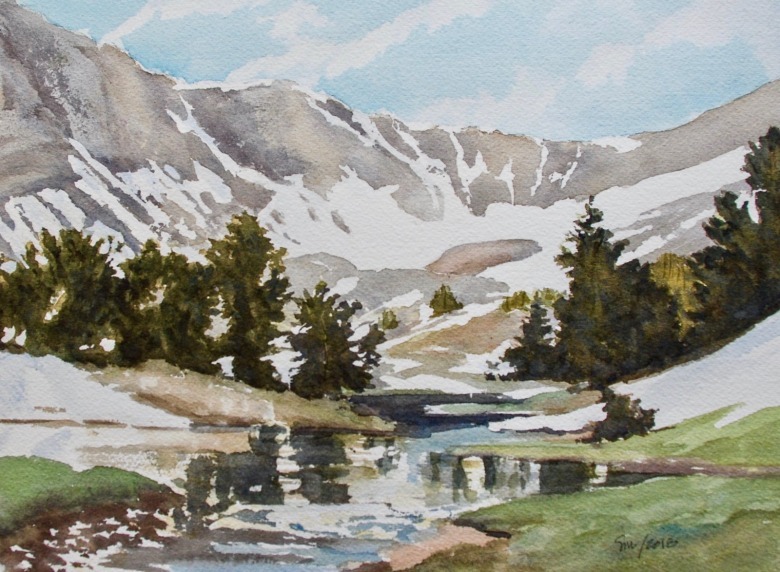 Recently, she's been portraying scences from the Wyoming and Salt River ranges in the southern half of the Greater Yellowstone Ecosystem where the headwaters of the Green-Colorado and Snake-Columbia watersheds originate as rain and snowmelt. Along with the land-managing agencies, the Army Corps of Engineers and Federal Highway Administration are responsible for protecting the outstanding values of the rivers, but often the primary objective of a construction project is paramount and affected resources come second. The budget for trying to halt a landslide that threatens a major highway is steep enough without including extras to make the riprap or concrete wall look like it belongs there. In some places it’s not easy to prevent construction debris from landing in the river. Evidence of what happens when highways encroach upon a river corridor is prolific and most of it cannot be described as an enhancement to a river’s scenic quality. Land use and development regulations at the state and county levels can be less than adequate to prevent private land alterations that cause impacts downstream on designated rivers. Often county regulators aren’t even consulted before diversions, stabilization structures or excavation projects take place. A controversial riverside golf course in Teton County, Wyoming serves as an example. County regulators are currently faced with a choice of granting permits after the fact for diversion work that would not have been approved earlier, or else making the landowner tear out the construction, thus creating more impact to the river. Another unintended threat to designated rivers is the rate of turnover among agency employees. With so much to learn about one’s new station, it’s easy to walk into the position and not be aware that you have designated rivers and other special areas to take care of. Wildernesses are generally prominently shown on Forest Service maps; Wild and Scenic Rivers are not. You don’t know the history of all that’s gone before, and sometimes you don’t ask. So, the vigilance that began with initial designation can easily be watered down in the name of compromise, getting along, and plain ignorance. Oh yes, let’s not forget the big threats to our pristine rivers: climate change, warming waters, increased runoff with pollutants as our human population grows. We have been left with a beautiful resource of clean, free-flowing rivers in Greater Yellowstone, but we can’t take them for granted. We desperately need renewed vigilance and a commitment to true stewardship. Along with the Wild and Scenic River Act, another law passed fifty years ago is being celebrated in 2018, the one that created a system of national trails. Most have a lower profile than the rivers do. One district ranger I knew had spent years in the same location without knowing that the northern terminus and 20 miles of the Wyoming Range National Recreation Trail lay within the district. He didn’t believe me when I mentioned it in a conversation about an application to drill we received from an oil company. One district ranger I knew had spent years in the same location without knowing that the northern terminus and 20 miles of the Wyoming Range National Recreation Trail lay within the district. He didn’t believe me when I mentioned it in a conversation about an application to drill we received from an oil company. “What national recreation trail?” he demanded. I looked at him, surprised. “The Wyoming Range,” I replied. I unfolded a forest map to show him. There it was, labelled and marked in bold red dashes, originating at a trailhead that was soon to be used as a helicopter staging site for the exploratory gas well which might be a precursor to development of a gas field. I’m not sure he believed me even after reading it on the map, but it was clear that no accommodation would be made for the trail. Though the Wyoming Range Trail is on the map, unlike many others, it’s hard to blame that ranger for not registering its existence. During the mid-1980s the Forest Service asked each national forest to identify at least a couple of potential national trails. At the ground level this was met with weary sighs. From the office conversations I heard, nominating a national trail was viewed as just another thing to do, to be carried out with as little hassle as possible. The trails were picked off a map and sent upward, soon to be forgotten. They were not thinking about the important role they played in being stewards for the future. And if they are not thinking that way, using the tools that Congress created for them, who would? Except for the Wyoming Range Trail, which passes through magnificent high-mountain country dear to my heart, I pretty much forgot about them too. When I looked into the number of national trails in Greater Yellowstone it surprised me. (You can find them all in a database by clicking here). The Wyoming Range Trail is the longest in the area at 75 miles. Close behind it is the Two Top NRT, a winter trail groomed for snowmobiles. At the other end of the length spectrum are short nature trails of less than a mile. All told, the ecosystem includes 23 NRTs, each with its unique purpose and set of attractions. National historic trails figure into the region as well, the Lewis and Clark National Historic Trail in the north and the Lander Cutoff of the Oregon Trail in the south. Both have been superseded by roads from dirt to freeway, but the history of westward expansion is with us, along with historical markers and sites. One can still see wagon wheel ruts and immigrant graves along the Lander Cutoff. Finally, and most famously, are the national scenic trails. Most of us are familiar with the Continental Divide National Scenic Trail. Over 300 of its 3,100 miles cross the Greater Yellowstone ecosystem, most of that mileage in the Bridger and Teton Wildernesses. While few people tackle through-hiking on the entire trail and even fewer manage it, the Bridger Wilderness segment has become among the most popular. We are now past another election day and I have worry in my heart. What is to become of our scenic and ecological treasures if too few of us continue to care about them? When interviewed in exit polls, most voters were concerned about jobs and the economy. Yet it’s a pleasure to pause from the state of constant anxiety about public affairs and remind myself of the millions of acres of unspoiled land that remain in this region, the rivers that spill from every corner of it and the trails that cross its backcountry. While I celebrate a milestone anniversary for safeguarding wild rivers and national trails I remember why these special designations exist: to prevent dams on every river, to recognize the health and economic importance of outdoor recreation, and to perpetuate the quality of the places people come to experience. The worry doesn’t go away, but perhaps it’s what we need to kindle our vigilance. What if the rollback of environmental regulations continues and our rivers are once again degraded? What if we continue to ignore the effects of climate change and our cold, clear waters become warm, shallow and troutless? What if the eagle and osprey nests stand empty? Steady, incremental destruction, occurring off the radar, brings the same result as more obvious damage. Both will result in a terrific loss, to us, and to those who follow and counted on us to hold the line.